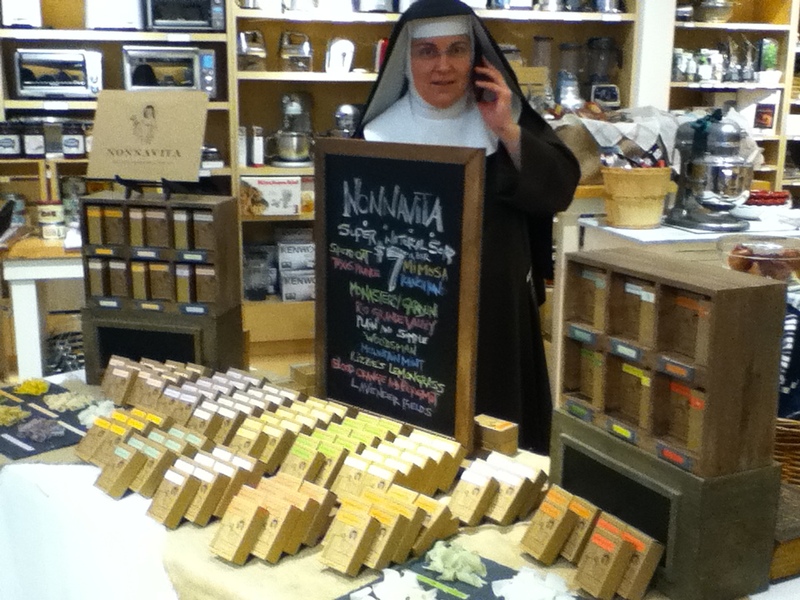 Calling all Nonnavita fans… We will be at Williams-Sonoma at La Cantera tomorrow (Saturday the 28th) from noon till 4pm. If you need to get your Nonna fix, please come out and see us. Since we sold out at the Women’s Conference (thank you, Jesus – and ladies) we know many of you were unable to get all the scents you wanted, so come out and see us tomorrow. We’re all stocked up with your favorite scents! This entry was posted in Nonnavita, Soap and tagged Artisan Market, La Cantera, Nonnavita Soap, Williams-Sonoma by texasnuns. Bookmark the permalink. I was so pleasantly surprised to find this blog with handmade soap by catholic nuns! Your soaps sound really good and even more so that they are made with blessed hands and hearts! May your soaps fly off with angel wings at Williams Sonoma! Good question – sorry for the confusion. We’ll be there Saturday the 28th.